By 1974, MAD magazine had hit an all-time high in popularity, selling more than 2 million copies per issue. 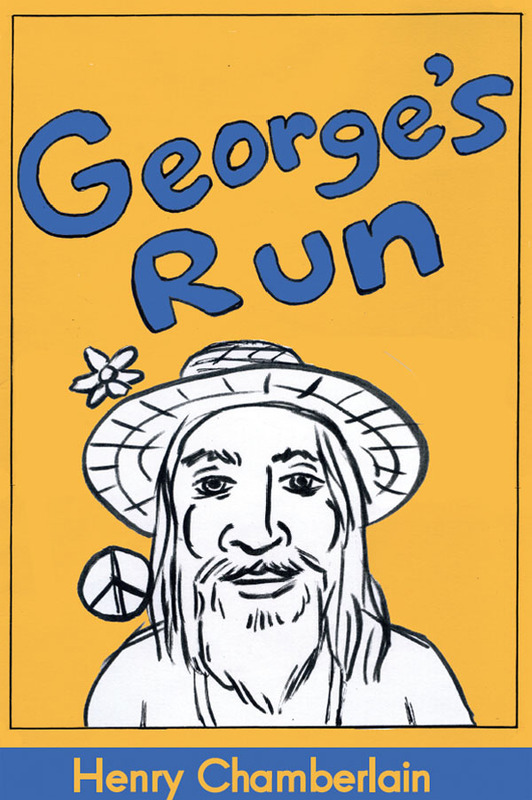 It was also the height of the Watergate scandal, Vietnam War protests, and the counterculture. MAD helped bring about the age of subversive satire that we see today everywhere from “The Simpsons” to “The Daily Show.” It was the underground before there was an underground. 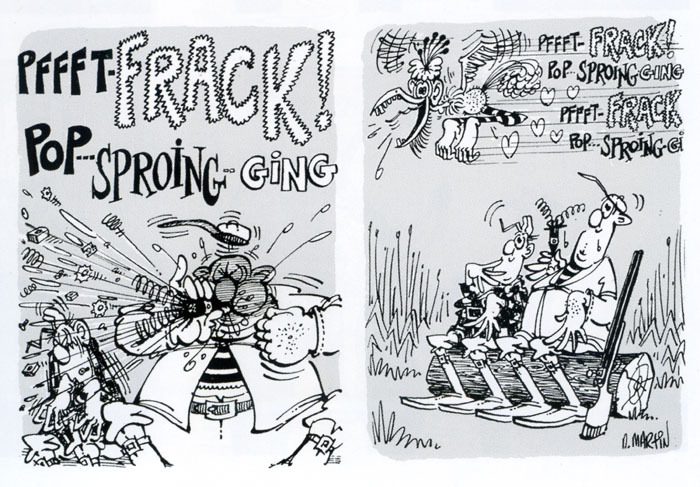 And, among the wackiest of cartoonists, in fact, “MAD’s Maddest Artist,” was Don Martin. Martin was from some other planet. “MAD’s Greatest Artists: Don Martin: Three Decades of His Greatest Works,” published by Running Press, lets you see this extraterrestrial cartoonist at his best. A mild-mannered man sits in a city park with a big bag of homemade popcorn. He feeds it to the birds. The popcorn is so good that it attracts more and more birds and then a horde of humans. The scene abruptly turns grim when someone asks the man for the secret to his delicious popcorn. “I make it with arsenic! I hate pigeons!” That sort of humor was something quite strange and new for mainstream audiences, especially young readers, in the 1950s but not for MAD magazine. MAD began as a comic book in 1952, and then a magazine in 1956, and has kept on being MAD ever since. 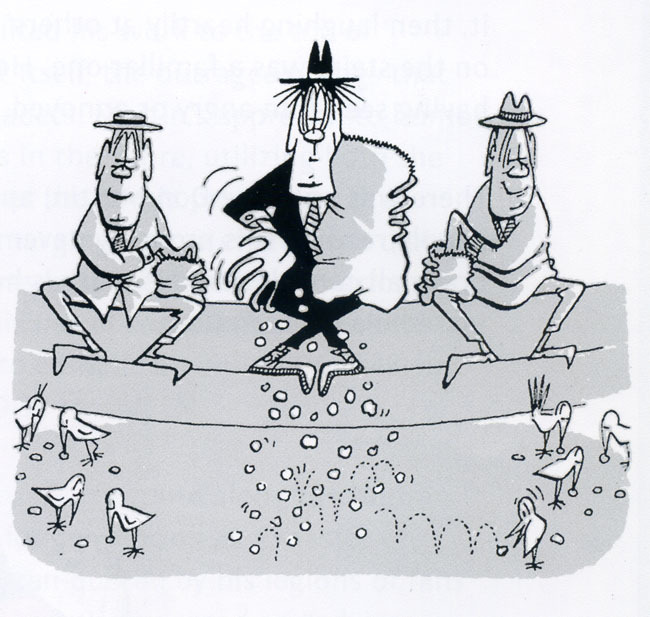 The arsenic-laced popcorn gag was one of Don Martin’s earliest efforts. 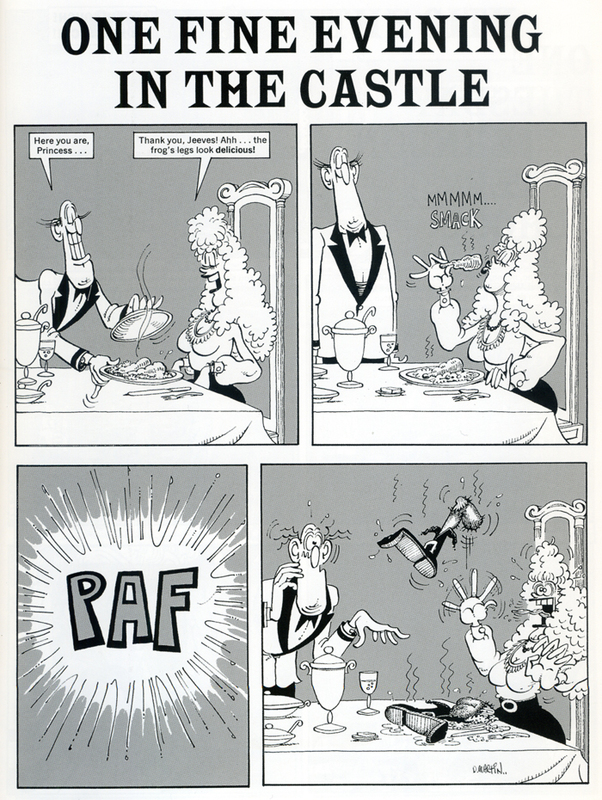 MAD has always maintained a wide range of rebellious cartooning talent, from the realistic to the most cartoony. From one end of the spectrum you had a classic 1974 cover, a parody of the hit movie about con artists, “The Sting,” with Spiro Agnew and Richard Nixon depicted in the iconic movie poster in the starring roles. And, on the other end, you had a most bizarre rendering of the Mona Lisa with a long lizard’s tongue. That’s the Don Martin we all know and love. 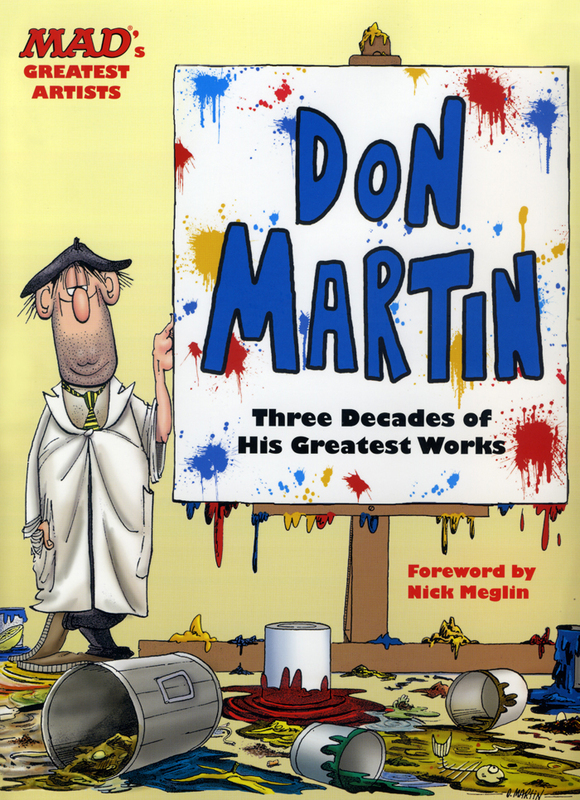 This collection presents over 200 works by Don Martin during his run with MAD magazine from 1956 to 1988. The work is mostly in chronological order so you can see Martin’s development over the years. 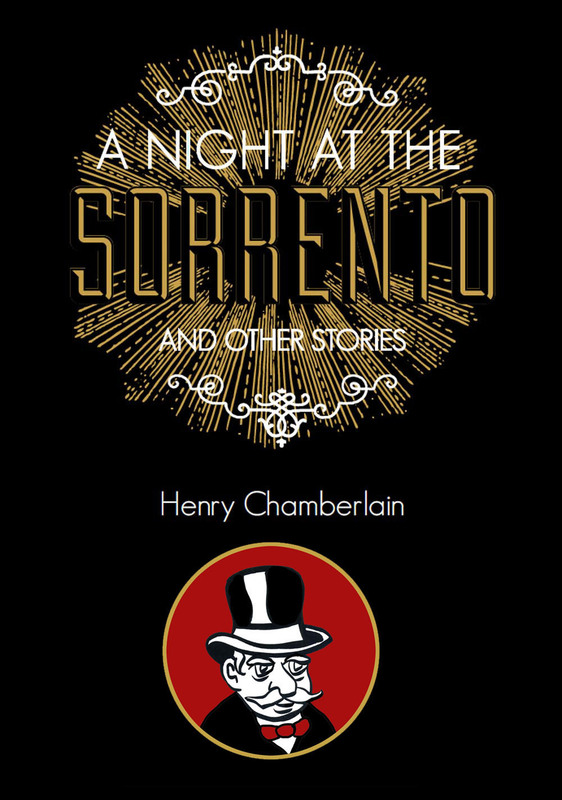 Much like Charles Schulz and Dr. Seuss, you see a distinctive style and sense of humor emerge, and, of course, the bulbous noses, the curled fingers, and the hinged feet. You truly enter a whole other world with Martin’s dazzling timing. And those tailor-made onomatopoeic sound effects! 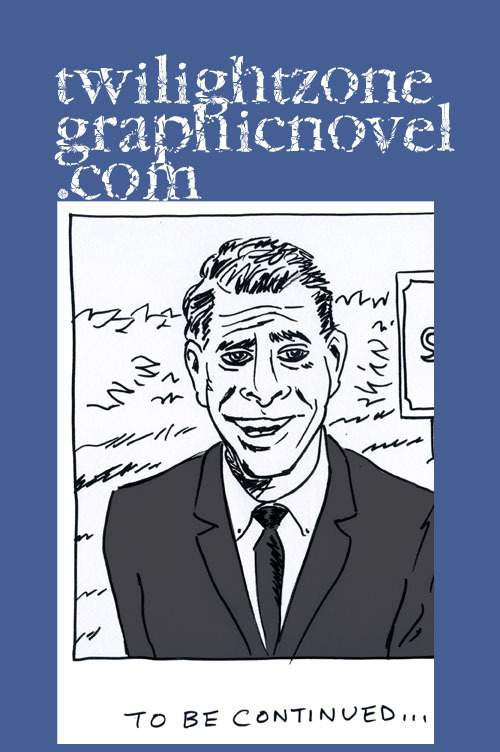 There are enough of them to create a whole dictionary and one die-hard fan of Don Martin did just that. Consider just this one example from a MAD cartoon from 1969. Two hunters have an “Amaze-O Wild Game Call” that produces over 20 mating calls. One of the hunters tries it and attracts a bird. He tries it again, and attracts a different bird. Finally, his buddy is compelled to try it. He overdoes it. And his “Pffft-Frack! Pop-Sporing-Ging” call attracts a hideous monster. Post-World War II America and beyond was not an “Ozzie and Harriet” idyllic paradise. The government, the media, and parents were not to be trusted. MAD asked kids to think for themselves, not even trust MAD. Let the humor speak for itself. 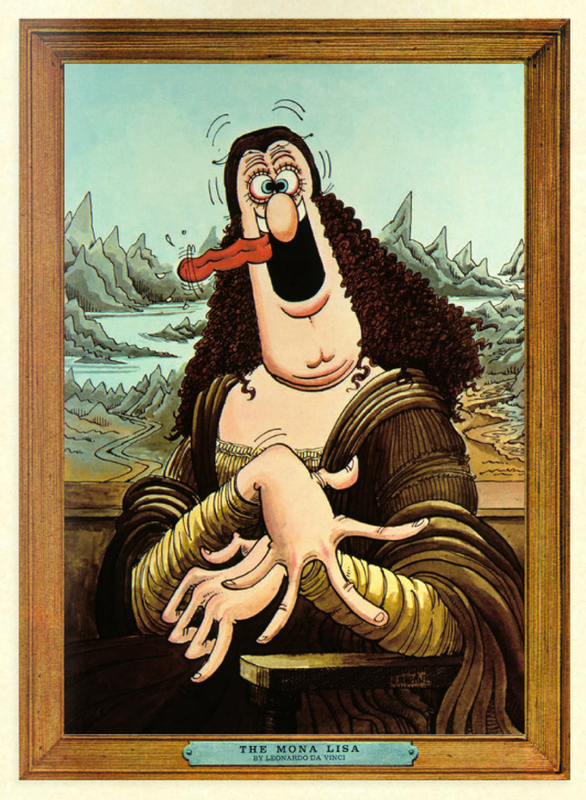 As “MAD’s Maddest Artist,” Don Martin proved to be one of the greatest jesters of all time. “MAD’s Greatest Artists: Don Martin: Three Decades of His Greatest Works” is a 272-page hardcover published by Running Press and is available as of November 11. You can find it here, here, and here. And you can always visit our friends at MAD magazine, and start up a subscription, right here. I loved these as a kid. I remember the frog leg one especially. Funny stuff! Yes! It really stays with you. Truly magical.